Last week, the Akashic Times revealed how the government unveiled new laws outlining their plans to abolish freedom of speech and protest for anyone who criticises the government. You can read about that story HERE. However, sadly, the drive to obliterate every shred of the traditional human rights that we hold dear doesn’t end there. 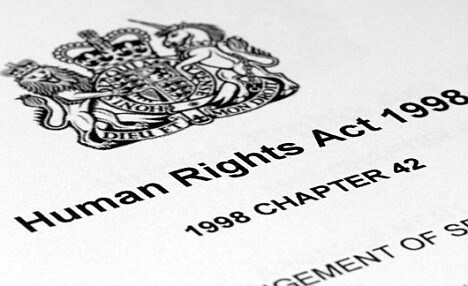 David Cameron has yet another announcement: the EU Human Rights Act will be scrapped. This has not been signed off into law just yet, but it is certainly in the pipeline. This means that if for whatever reason, you are unable to get justice in the UK courts – particularly with the introduction of secret proceedings – then your last vestige of hope to get your case heard in the European Courts of Human Rights will be null and void. 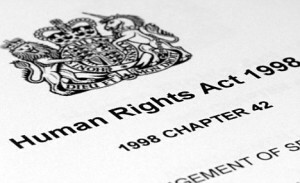 The Human Rights Act has been something of a bone of contention in the mainstream media because it is lauded as giving a free pass for criminals, migrants and ‘benefit scroungers’ to bypass the law and evade justice. The Daily Mail has been particularly active in spreading the idea that the Human Rights Act is just a socialist blueprint for societal destruction, used only by immigrants who are not indigenous to the country. But is this the case? Since when did human rights become an “immigrants'” or “criminals” charter anyway? After all, the very thing that the UK prides itself on is their British values and ideals – a far cry from those you may come across in North Korea or Zimbabwe for example. However, one of those values is a free and fair democracy. The right to live your life as you choose, as long as you do know harm. Without any robust laws and constitutions however, that very notion is at risk. Furthermore, nowhere does it state in any Human Rights Act that you have the right to commit crimes. Therefore, any flaws in the system is not down to the actual rights themselves – but the interpretation of those rights. And you have to ask yourself, if unscrupulous lawyers are indeed able to use Human Rights legislation supposedly to appease criminals – if indeed the media stories are as accurate as they purport to be – then the real problem are the judges that are allowing that. Could it be that such cases are part of a systematic attempt to discredit human rights legislation and garner support for diluting it or scrapping its in its entirety rather than simply applying a commonsense approach? If you truly believe human rights are part of some undesirable marxist agenda – ask yourself one thing. Do you believe you should have the right to freedom of speech, without political correctness or censorship getting in the way? And if so, how do you propose that such a right is upheld? Let’s look at just some of the rights that would be kicked to the curb if the government is permitted to systematically eradicate them. The government has introduced a number of new laws and proposals in recent years, which although in theory is targeted at the terrorists, in practice it can potentially be used to clamp down on anyone who criticises the government. These laws include the Fixated Threat Assessment Centre laws (FTAC). Under the guise of protecting celebrities and politicians from malicious stalkers, this legislation in fact targets anyone who levels criticism against ‘the wrong people’. Consider the case of David Compan, an activist from the ITCC. David was detained under the FTAC laws after calling for the Royal Family to be put on trial for crimes against children. He was only released after 8 days of campaigning by the ITCC. Then of course you have the recent proposals to target non-violent extremists. According to Theresa May and David Cameron, these are people who seek to “overthrow democracy” or “conspiracy theorists”. It also includes those who ask questions about the events leading up to 9/11 and 7/7. This is perhaps one of the most important rights in a free and fair democracy. If you are suspected of committing a crime, then you have the right to be tried in a jury of your peers, in an open and transparent way. Under the Justice and Security Act however, you can be prevented from seeing the evidence against you, or the witness testimony against you. In some circumstances, you may also be unable to submit evidence – or even enter the courtroom, if it is deemed to be in the court’s interests. In fact, the court will not even have to inform you of why you have been taken to court, or even that a trial is taking place. It could mean that the first you hear of a case against you, is when the police turn up to take you to jail to begin your sentence. There are some who argue that torture should be permitted in order to get terrorists to confess to their crimes. The obvious flaw in that logic is that when you are being tortured – you’ll confess to pretty much anything regardless of whether you committed a crime or not. This is one of the many reasons why shipping suspected “terrorists” off to Guantanamo Bay is so reprehensible. 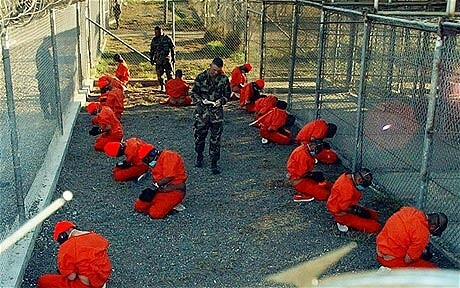 And of course, judging by David Cameron and Theresa May’s new definition of ‘terrorist’ it is not so difficult to imagine a future when we won’t even have to ship prisoners off to be tortured anymore – we’ll have our own camps set up right here in the UK. Now that may sound a little far fetched. But in the absence of any human rights legislation – what’s to stop that? And when you consider that the UK police has already come under fire in the past for tasering naked prisoners in their cells and ordering cavity searches, it is not so difficult to imagine a society whereby this becomes more commonplace. 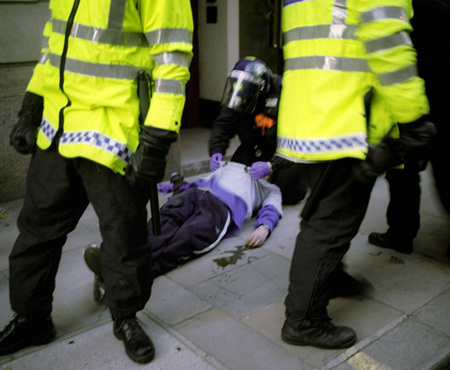 In fact, we can see examples of this in the US – another supposed ‘democracy’ whereby police have been known to conduct roadside cavity searches, beat people senseless – including pregnant women and children – and taser people repeatedly. Now America of course has a constitution and the UK has the Magna Carta. But these laws will not be worth the paper they are written on if the public do not demand and assert those rights. Do we really want scenes like this to become more commonplace? Do you believe that you should be made to work long hours for no pay? This is exactly what Iain Duncan Smith has proposed. Now of course, technically he is not bringing in a law forcing people to work for no money at all. What he has done, is introduced a workfare program in which the unemployed – including those with severe disabilities – will be forced to enrol on a work programme in exchange for being allowed to continue to receive government support. Recently he added that this will include those diagnosed with terminal illnesses with more than six months to live. This creates a situation where large multinationals such as Tesco’s or Sainsbury’s can gain access to unwaged Labour for no cost at all. This then severely reduces the incentive for them to employ more people or to maintain their current level of paid staff members – resulting in more unemployed people dependent upon the state. With the price of essentials such as food and utility bills going up, it means that those who are forced to live on welfare payments will have no money left over at all, once all of the bills have been partially paid. They will also be compelled to work long, full time, permanent hours for their benefits of £64 a week. Ian Tomlinson was a newspaper vendor who was killed by police in 2009 at the G20 demonstrations after being mistaken for a protester. This is yet another right that would simply disappear if it were scrapped. The right to life prevents citizens from being executed at the whim of the those in power. High profile killings of innocent and unarmed people such as John Charles De Menezes and Ian Tomlinson, highlight just what can occur if the police were given carte blanche to shoot anybody who they deemed to be suspicious. This prevents the police from being able to force their way into your home without just cause and without a warrant. Unfortunately, there are many instances in which this occurs. This clause makes it slightly easier to seek redress in the courts in cases where injustice has happened. It also prevents bailiffs, landlords and other agents from being able to harass you at unsocial hours, force their way into your home without a court order, and interfere with your right to enjoy the property. With landlords especially, there are fairly severe restrictions on the ability to force you out of your property without a court order, or to make constant, unscheduled visits. However, all of this could change – if this clause were to disappear. This clause enshrines the right to protest, the right to form a picket line, the right to meet your friends or relatives anywhere in public without being harassed or ushered away by the police, council workers or any other government agents. To some extent – the UK has already eroded the right to protest. Protesters now have to consult the police in advance of any marches, and are forced to use pre-assigned routes, that will not cause too much inconvenience. 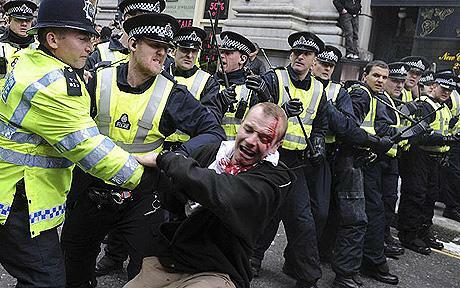 Those who do not comply with this face being kettled, tear-gassed, sprayed with water canons, beaten up, or tasered. Those who *do* comply with the law, also face being kettled, tear-gassed, sprayed with water canons, beaten up, or tasered. If this clause were removed from the law, the right to protest, the right to form a picket line, the right to meet your friends or relatives anywhere in public, would be severely diminished or lost altogether. Of course the most important point of all is that despite all that has been written here, legislation itself does not prevent human rights abuses from taking place. However, what it does do is it makes it easier for victims of such atrocities to challenge these abuses, seek redress and at the very least, gain some compensation. Human Rights legislation does not in and of itself give those who are victims of injustice any guarantee of victory, but it at least makes it easier and possible to challenge cases of institutional bullying or corruption when it occurs. It also officially enshrines and codifies our collective values as a full and fair democracy that distinguishes itself from tyrannical regimes like North Korea. Now it appears that such a distinction is becoming less and less pronounced by the day. 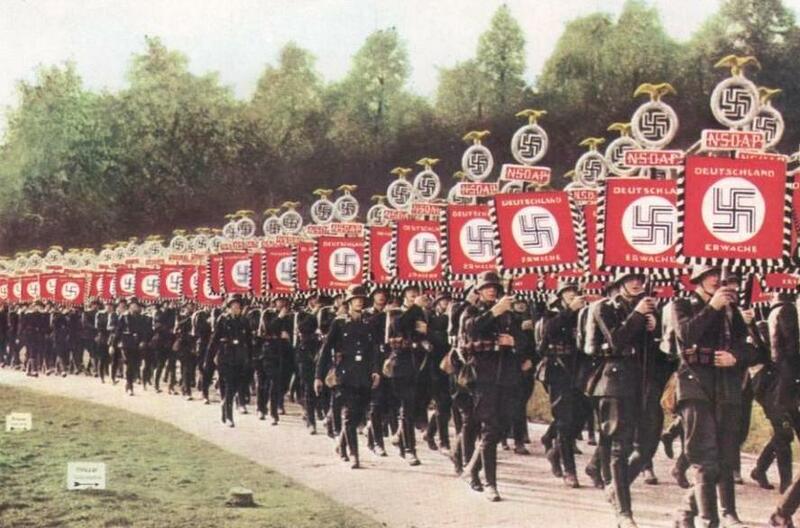 Just one mistake – ECHR was actually written almost solely by British lawyers in the wake of WWII, in an effort to prevent the horrors of European fascism during WWII ever happening again. It was then adopted by the Council of Europe and fully ratified by 1956. Hu-man rights aren’t worth a pile of crap. We have unalienable rights or, better, God given rights which are far superior to hu-man rights. God given rights CANNOT be taken away by anyone.